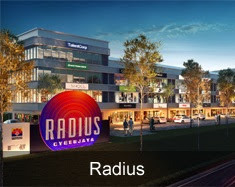 Radius Business Park is located in Cyberjaya comprising 120 office units and retail lots. Unit size ranging from 1,241 sq.ft. to 8,204 sq.ft. Dual frontage design to double your business presence and access. Dedicated private lifts for corner units. Open air walkways and landscaped boulevard for a pleasant garden environment. 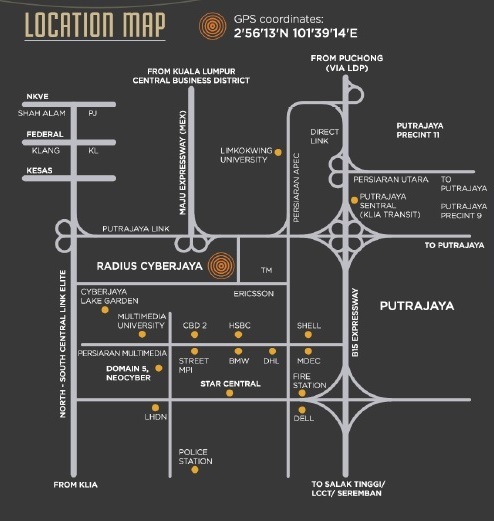 604 sub-basement parking bays and 161 ground-level parking lots. Built-up Area : 1,241 sq.ft. - 8,204 sq.ft.